One morning, 24-year-old Susannah Cahalan woke up in a hospital bed. She couldn’t speak. She couldn’t move. And she had no idea how she got there. Derren toured the UK and returned to London’s historic Palace Theatre with his seventh one-man show, MIRACLE. Through extraordinary demonstrations and exposés of evangelical faith healing, the sell-out show examined the stories we tell ourselves and the value of the present moment. Winner of Best Show at the Edinburgh Festival Fringe and Melbourne International Comedy Festival, Hannah Gadsby is bringing her show ‘Nanette’ to New York. After Anabel hosts an opulent dinner, she is confronted by Chiara, the daughter she abandoned decades earlier. Chiara arrives with just one request: that she and her mother spend ten days together. Get ready for a climactic event this June. Karan Johar, Zoya Akhtar, Dibakar Banerjee and Anurag Kashyap come together for Lust Stories premiering 15th June only on Netflix. Two criminals are the sole survivors of a terrorist attack at a restaurant in Jerusalem. They decide to change their ways and become guardian angels. COOKING ON HIGH is a high-stakes cooking competition series involving one key ingredient: weed. Josh Leyva hosts while chefs hash it out over cannabis cuisine for judges with a serious case of the munchies. Crews work to keep North America’s most intense stretch of highway open in any weather conditions. Hugo Sanchez receives his most important mission since he was named Chava Iglesias’ Personal Assistant: lead the “Cuervos” team to win the Tournament “Duel of the Birds” in Nicaragua. Hugo Sánchez takes off from the nest towards the adventure of a lifetime, but for that he’ll have to confront Luna, his mother, who wants him to return to the family caskets sale business. Hugo will not only have to prove his skills go beyond being Chava’s assistant but it will also be a journey into manhood. The series is produced by Alazraki Entertainment. Created by Mark Alazraki, Moises Chiver and Gaz Alazraki. Mark Alazraki, Moises Chiver, Mehar Sethi and Gaz Alazraki serve as executive producers. The directors include Alvaro Curiel and Mark Alazraki. Screenwriters include: Mehar Sethi (as lead writer), Mark Alazraki, Conor Galvin, Dave Newberg, L.E. Correia and Jack Moore. Michelle Wolf will also be hosting the White House Correspondents’ Dinner on Saturday, April 28. Set in present day on a Colorado ranch outside Denver, this multi-camera family comedy series stars Ashton Kutcher, Danny Masterson, Sam Elliott and Debra Winger. The show follows Colt’s (Kutcher) return home after a brief and failed semi- pro football career to run the family ranching business with his older brother Jameson “Rooster” (Masterson) and father Beau (Elliott), whom he hasn’t seen in 15 years. Winger stars as Colt’s and Jimmy’s mother, Maggie, who runs the local town bar. The series also features Elisha Cuthbert (Abby), and fellow That 70’s Show alum Wilmer Valderrama (Umberto). The power of friendship can solve any problem – and the Rainbow Kingdom’s got plenty to go around. Cue Bartleby and True for the resuce! Do-gooding True and Bartleby will go anywhere to make wishes come true – from the bottom of the Living Sea to the tip of Mount Tippy Tippy Top! 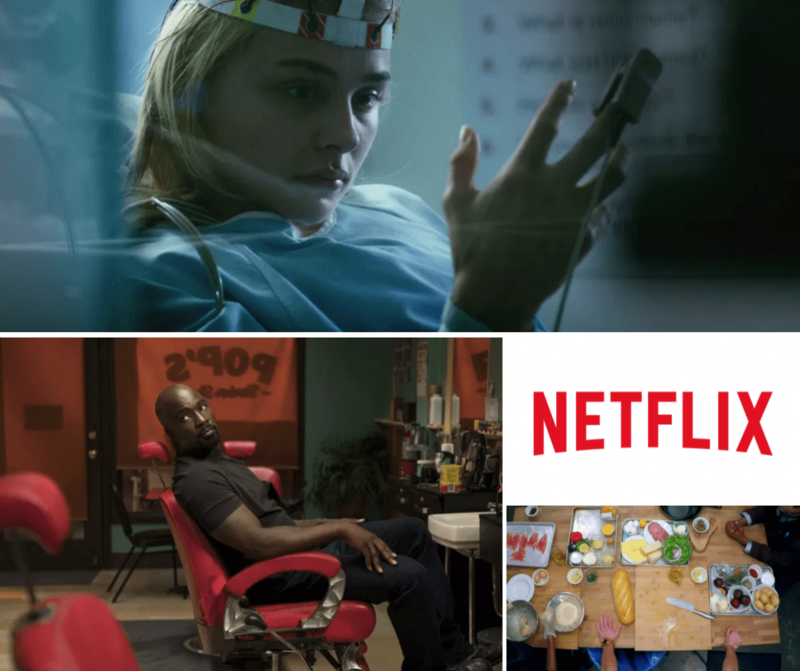 This entry was posted in Netflix, News and tagged Brain on Fire, Cooking On High, Derren Brown: Miracle, Heavy Rescue: 401, luke cage, Netflix, netflix originals by Melissa Hanson. Bookmark the permalink.